← Global Warming, Fact or Fiction? 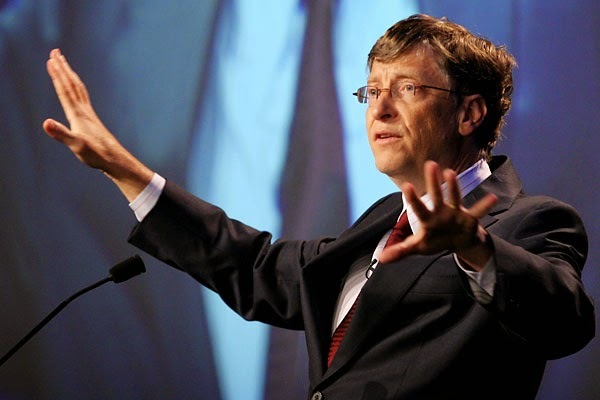 A FB friend posted a snippet of a 2010 Bill Gates’ speech, “Innovating to Zero”, where Gates essentially outlined what he believed are grave environment problems that will guarantee cataclysmic results. He specifically referenced global warming through greenhouse gas emissions as the main culprit. 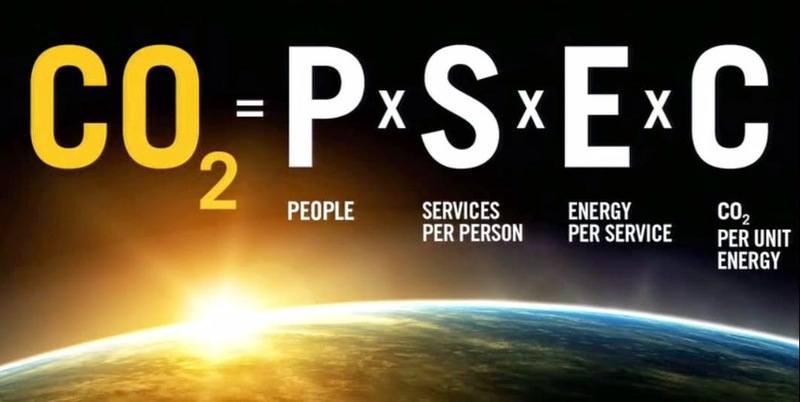 One of his methods to reduce C02 is through global Population (P in the equation below) reduction. Though I have serious issues with Gates’ alarmist environmental claims (which I dealt with in a prior blog), my intent here is to focus on one particular facet of a statement which I shall quote in a moment. Because the amount of CO2 emitted correlates to world population (with developed countries emitting far more of the environmental load), Gates briefly mentioned ways to reduce the projected world population (currently at 6.8B headed to 9B), including “reproductive health services” i.e. abortion and contraception, and also the vaccine initiatives. Following is the exact quote from the lecture. Did you catch that? One can certainly understand how abortion and contraception lower world population, but how in the world can new vaccines and better health services also shrink population. Aren’t vaccines designed to prevent disease? Well, not according to the way Natural News and the many other conspiratorial-minded websites, interpreted Gates’ intentions. Natural News reposted just the first 3 minutes of the 30-minute lecture and changed the title to, Bill Gates Wants Depopulation Through Vaccines and Health Care.” And off they went with their NWO (New World Order) diatribe accusing Mr. Microsoft of plotting to wipe out millions. But is that truly what Gates meant by the above statement? Even if that was his intent, would he be so brazen to telegraph his diabolical plan to kill off half the world? Though I couldn’t disagree with Gates more on his bogus global warming assertions, and I despise (is that a harsh enough word?) his pro-abortion initiatives, anyone with a modicum of common sense should have known that Gates, in that 2010 speech, was not talking about euthanizing large population centers with some sort of killer drug disguised as a vaccine. Talk about confirmation bias! Admittedly, though he sounded a bit like Mr. Hyde with some severely demented logic, he was essentially saying that reducing infant deaths by using vaccines and providing better health care, reduces a family’s fears of losing their children through disease. Therefore, he argued, that they’re not as apt to have as many children to compensate for the expected infant deaths. And given the following stats, one need not wonder why. If Natural News had done a simple internet search or called the Gates Foundation directly, they would have preempted this false accusation. And if my friend would have done the same, it would have saved them the embarrassment of propagating a falsehood. One has to wonder if Natural News chose to close their eyes or if they simply wanted to believe the lie since it confirmed their bias against the nefarious “they”. This kind of bogus reporting, which seems all too typical of Natural News and similar conspiratorial “watchdog” organizations, makes the many Christians who share their blogs look rather foolish. But this raises the wider question about vaccines. Are they as dangerous, and are they’re makers as evil as they’re made out to be. Consider the fact that Small Pox, Polio, and Influenza have killed and crippled hundreds of millions. Do Natural News and the anti-vaxers really want to return to those days? It has been estimated that nearly 1.7 billion people have died from infectious diseases. Though Dr. Mercola points out that the Gates Foundation vaccination programs are not necessarily what malnourished, dehydrated, children living in squalor, need, vilifying Bill Gates as some sort of a sociopathic monster waging a murderous population control campaign through the use of vaccines, is libelous and irresponsible. Natural News and others who spread this disinformation ought to be ashamed of themselves. If we don’t do a better job of holding these kinds of organizations accountable, we’re going to continue to look like fools to the world… and not for the right reasons. And the Gospel’s proliferation will be compromised simply because too many Christians are passing along these errant stories lessening our credible by the day. In closing, let me leave you with some food for thought about vaccines. I apologize in advance for the occasional foul language in the following video, but I offer it to you to dispel some of the anti-vaccine rhetoric that I continue to hear. In my view, too much of what we take at face value from the alternative medicine community is poorly researched. Though I put little trust in traditional medicine in dealing with cancer and immune disorders, I’ve found that I was throwing too many babies out with the bath water. As Bereans, we tend to disbelieve anything and everything coming out of the establishment, but I have found this to be imprudent. Everything should be studied on a case by case basis. Vaccines are no different than anything else. This entry was posted in Alex Jones, Conspiracy Theory, Vaccines. Bookmark the permalink.